Driving cars can be dangerous at even the best of times. We know that the statistics on accidents aren’t good, and that they happen all the time. How many news stories have you seen lately, even in passing, where at least one person died? We know that these numbers are pretty terrifying and that they can cause a lot of stress in your day to day driving. Regardless of the safety precautions you take, the dangers will always remain. The truth is that every time you get in a car you take a chance. The good news is that you can lessen that chance with good decisions, and forward thinking. Taking your first steps toward learning about all things automotive is great! Becoming a DIY expert doesn’t happen overnight, but everybody has to begin the journey before they can reach the end of it. 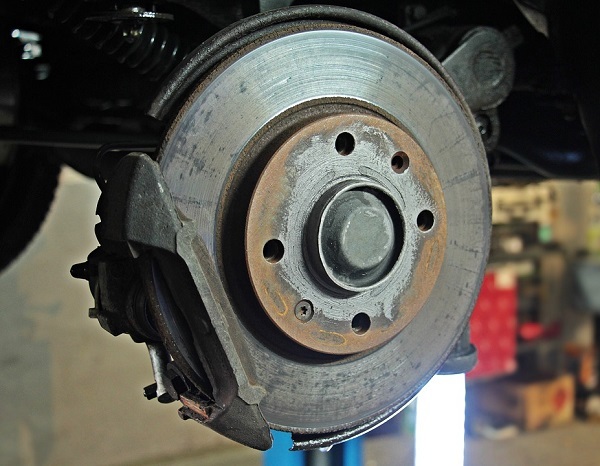 Keeping up with the upkeep of your brakes can be done from the comfort of your garage. What better place could there be? You can take your time, save money, cut down on travel, and lessen the inconvenience the entire mechanic experience can bring. Alongside this, you can always be sure that your car as a whole is up and running properly. Brakes are probably one of the first parts you should learn about. 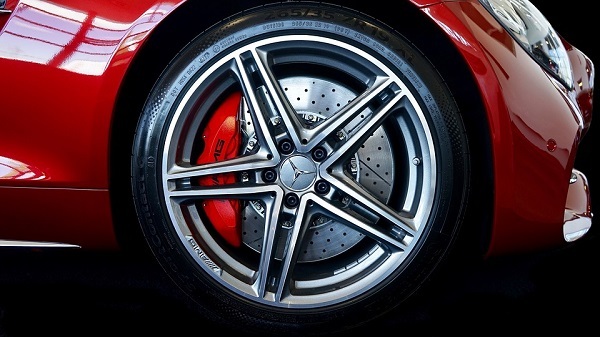 Your entire braking system is essential to the function of your vehicle. Without it, you wouldn’t be able to stop, and that’s obviously a heart attack inducing situation for anybody. Any malfunction in this system can be a recipe for disaster. So, what do you do when you think there’s a problem, and you want to try looking at it yourself? We’re here all around the clock bringing you the information you need on the biggest topics surrounding the automotive world. We’re the DIY experts that you rely on to get you going on the right track. Today we’re going to talk about brake fluid, and what to do if you suspect a leak. We’ll supply you with several ways you can go with the repair process, and the supplies you need to nail the job. So, let’s “brake” this topic down, shall we? What Is Brake Fluid? This question pops up more than you would think. A lot of people have heard of brake fluid, but they aren’t exactly sure what brake fluid does. 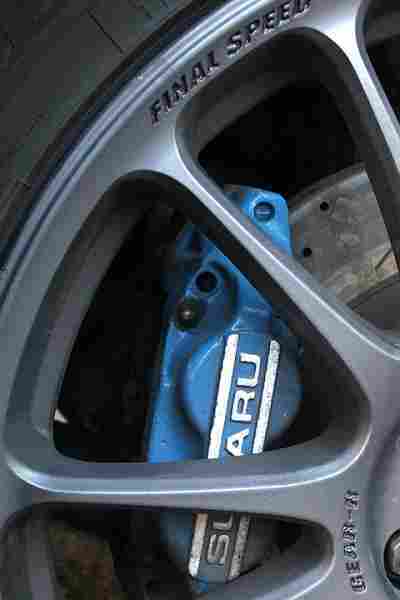 Its function is to help move all of the mechanisms in the braking system. If your brake fluid is low (perhaps a leak?) then your brakes won’t work. This fluid is put under tremendous pressure which elevates its temperature. Remember: the higher the pressure, the higher the temp, generally speaking. Brake fluid carries the message you send through your pedal right down the line to the brake rotors. The tubes it travels down are called your brake lines. 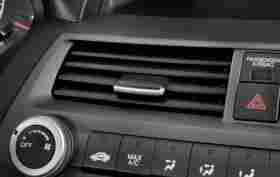 If anything goes wrong during this process your car won’t receive the “stop” message you’re trying to send it. What Causes A Brake Fluid Leak? There are several different causes that could be at the root of your problem. We’re going to go over four of the most common parts which may fail, and the reason why that causes fluid to leak. After this, we’ll jump into the DIY portion of the article! 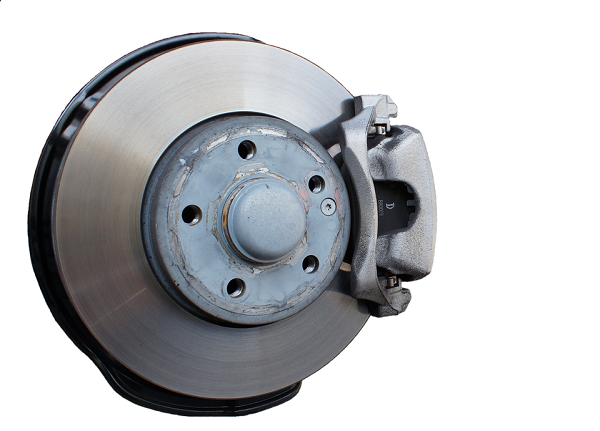 Brake Pads: A fairly common reason is that the brake pads are worn down. This is why it’s important to service your brake pads whenever you suspect they might be in need of repair. Again, braking systems are no joke. If even one mechanism fails the entire system is then compromised and liable to fall apart. Bleeder Valves: If your bleeder valves are loose then it may be a pretty simple fix. This can happen when you have recently had work done on your braking system. The technician who serviced your vehicle may not have fully tightened one of these bolts. They are located on the calipers, and when you have work done they allow extra fluid to be drained out (hence the name “bleeder” valve). Wheel Cylinder: This is a danger particularly for drum-style brakes. You may notice brake fluid in places it shouldn’t be. Namely, on the wall of one or more of your tires. This is indicative of your wheel cylinder being broken. The fluid isn’t the only symptom of this problem, however. Your car “pulling” to the side when you’re driving, or braking is a red flag for a few different issues. A bad wheel cylinder is certainly one of them. So, if you see brake fluid on your wheels and notice pulling while you’re driving, you’re well on your way to knowing what’s wrong! Brake Lines: We recommend that if you suspect this to be the problem that you immediately get it serviced. Broken brake lines, as we mentioned above, are essential to your vehicle’s braking system. These brake lines carry the message from your pedal to your rotors that the vehicle needs to stop. 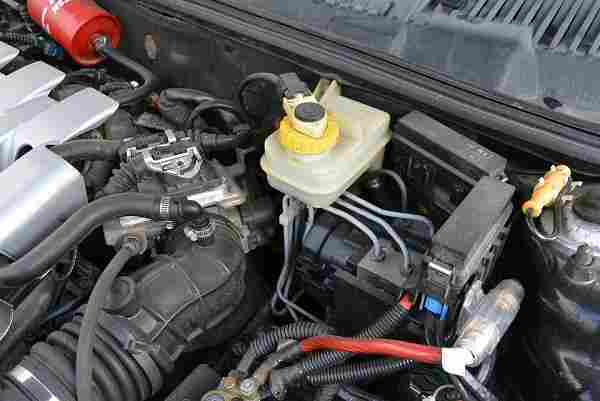 They are filled with the brake fluid itself, which is highly pressurized and high in temperature. If your brake lines are compromised they will not tell your car to stop. This is a life-endangering problem! Well, here we are! We’re almost at the end of this article, and the last part to go over is how to fix the leak itself. These are our personal favorite methods of fixing your brake fluid leak. Still, it’s important to remember that everybody has their limits. Just because you feel up to the task does not mean you have what you need to get the job done. There is something to be said about experience, after all. If you feel uncomfortable with any point in any of these processes then cease working on them immediately. At the end of the day, DIY is a great way to go, but you still have to think about tomorrow. If you botch this job you’re in for a world of hurt. If you have some experience in this realm, though, and are familiar with your braking system then by all means! Please, give it a go. We’re not here to discourage you. We just want you to make sure you do these things safely! Master Your Cylinder: Earlier in the article, we spoke about the common causes of brake fluid failure. You may remember us mentioning the master cylinder, and how it might fail. This is probably one of the more intensive fixes, but we have confidence in our readers. Namely, we have confidence in you! You’ll have to head to an automotive shop for a repair kit. This will help you correct the bad wheel cylinder. Make sure that you follow the included directions! The directions will always be the difference between doing a good job or ending up with a bigger problem. Broken Hose Woes: Fixing issues with your brake lines is probably the easiest repair of them all. Repairing broken hoses simply involves replacing them entirely with new hoses. You can purchase shiny, new brake hoses at pretty much any automotive store, perhaps with a little help from the staff. Once you have the new hoses you just replace them! Ta-da! This serious, dangerous problem is now complete remedied, and you’re ready to rock. Control Those Calipers: How long has it been since you’ve checked your caliper pistons? What was that? Never? Well, now’s the time to do so! The caliper piston is another potential problem that can pop up but is fairly easy to fix. Again, it simply involves picking up the right part at your local auto supply store. From there you go home, follow some directions, and change them out. Caliper pistons are a fairly important part that can do a lot of damage if they’re incorrectly installed. This means that if you need to you should absolutely defer to an expert. Perhaps you know somebody who works on cars and wouldn’t mind lending a hand? You might be surprised about who knows what! The Quick Fix For Failing Lines: If your brake lines are bent out of shape you can be sure that the entire system is liable to fail. This is one of the top causes of problems with that precious liquid leaking! There is good news in this regard, however, and thank heaven for that! It can seem pretty hopeless when you suspect a problem is afoot. This is especially true for literally the biggest safety feature your car can offer. It’s so simple to take care of in this case, however. You only need two things: metal tubing, and a pipe bender. If you don’t have either of those on hand then just head down to, you guessed it, your local automotive store! You’ll be a well-loved regular in no time! The third part of this trifecta is your user manual. You can use that as your guide through the process of fixing the problems of general wear and tear. When Should I See My Mechanic? Have we pushed the idea that this is a crucial safety feature enough? Are you tired of hearing about how necessary it is to be confident, or seek out help? Well, we sure don’t think so. After all, without the ability to stop your vehicle, you’re headed for disaster… literally, and figuratively. Sometimes you can’t do these things yourself, and that’s okay. Becoming a DIY expert doesn’t happen overnight. Even when you do reach the upper echelons of DIY mastery you may still have issues that you know you can’t tackle alone. That’s the biggest difference between somebody who is good at what they do and somebody who is the best at what they do. There is infinite wisdom in deferring to an expert when something is just beyond your ability. Sometimes you may not have the right tools for the job, and others may just leave you scratching your head. Either way, that’s when it’s time for the mechanic to step in. Fixing a leak in your braking system may seem simple at first, but a botched job has serious consequences for everybody involved. If you’re unsure about the process at any point during the process, stop immediately. “But Motorful!”, you say, exasperated, “How can I find the best price? How do I know I’m not getting swindled? !” Fear not! We’re here to help, as always. You may have seen us mention in previous articles that call-in consultations are the way to go. This is still true even now! As it turns out you can call multiple places and ask for a quote, and then see who gives you the lowest one. Make sure to check reviews on all the shops you call, too, in order to make sure there isn’t a less than savory reason for that low quote. It also helps to make sure that they know you’re knowledgeable. Take your time in explaining the problem, and make sure they know that you just don’t have the tools or time to get it done. This will lessen the chance that they’ll attempt to upcharge you. If they know that you’re wise to them you immediately have the upper hand. This is where we’ll leave you! Hopefully, you have what you need now to get down to business. Having a reliable stopping system in your car is tremendously important. We’ve obviously driven that point home, but we’ll probably keep repeating it until the end of time as we know it. It’s just that important. We have so many different articles on Motorful about braking systems, and we highly suggest you check them out! They’ll be hugely important in getting you going on the right foot. In order to have any chance of fixing your brakes, you need to understand first how they work. We have full confidence in your ability, however, especially if you’re a regular of our blog! So, get out there and have fun with it! 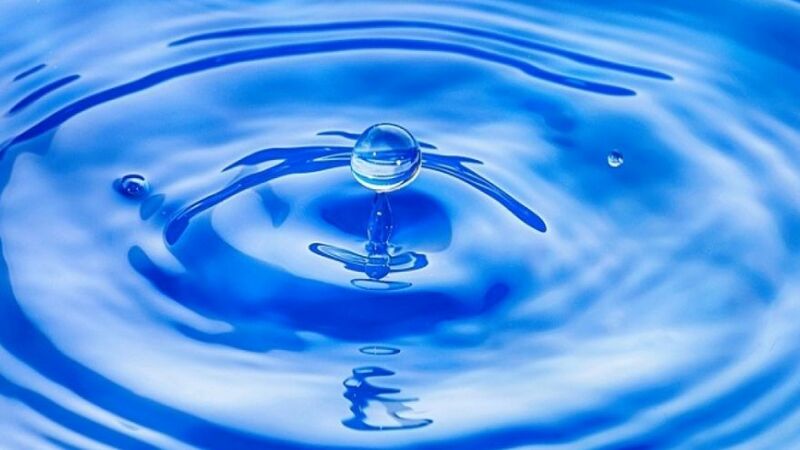 How Stuff Works – Why is My Car Leaking Brake Fluid?